Create your own fabric journal cover. 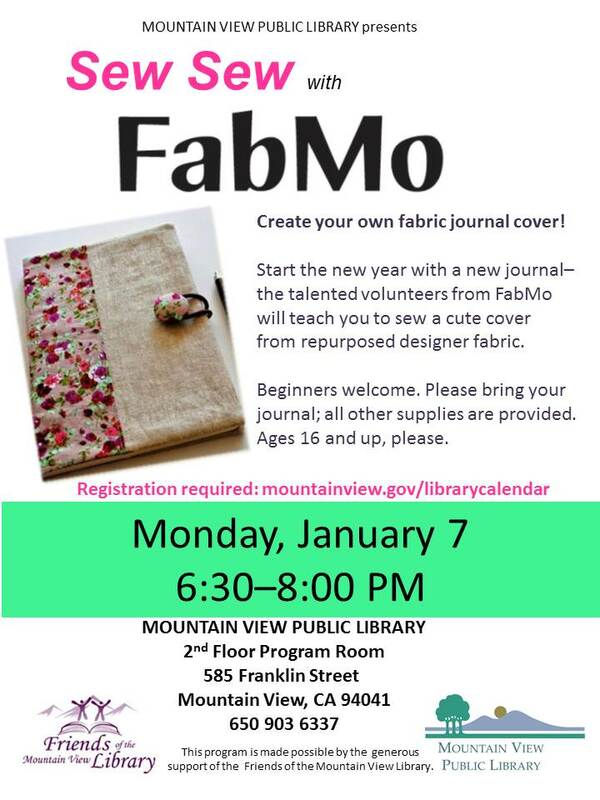 Start the new year with a new journal-- the talented volunteers from FabMo will teach you to sew a cute cover using re-purposed designer fabric. Beginners welcome. Please bring your own journal; all other supplies are provided. Ages 16 and up.